Smush Parker Hey, Lamar Odom ... Let's Ball Out In Europe Together!! Lamar Odom isn't gonna have to make his hoops comeback alone ... 'cause his old teammate Smush Parker wants to reunite and dominate together -- in EUROPE!! 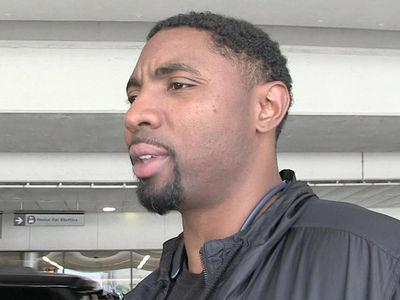 TMZ Sports spoke with Smush about Lamar wanting to play pro ball overseas ... and since Parker has 10 years of experience playing international ball, he says he'd love to work with L.O. to show what it takes. FYI -- Smush told us last year he wanted to team up with Kobe Bryant and L.O. in Ice Cube's BIG3 league ... but since that ship has now sailed, it's clear he's still holding out hope of ballin' with Lamar once again. We also spoke with the Queens baller about his new "Smush Parker Elite" training program ... and he explains how Lamar could benefit from using it. 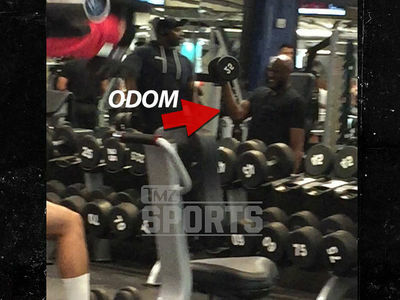 Lamar Odom Lifting Weights at Gold's Gym, Comeback in the Works?